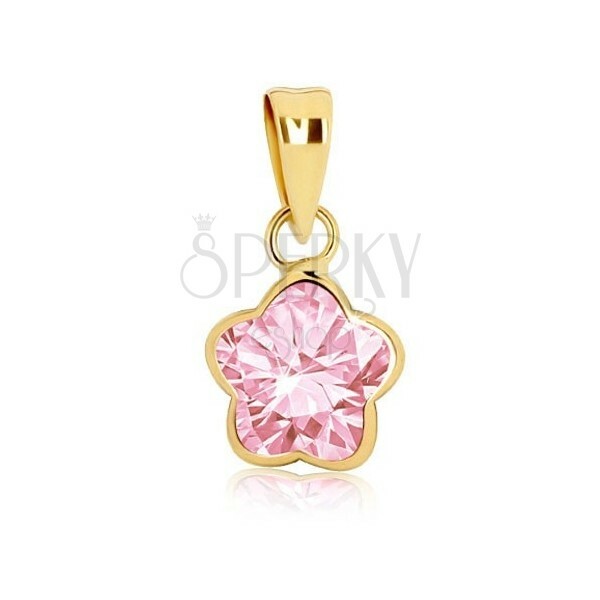 Yellow 375 gold pendant - holde in the shape of five whole petals, cut glittery zircon of pink colour. 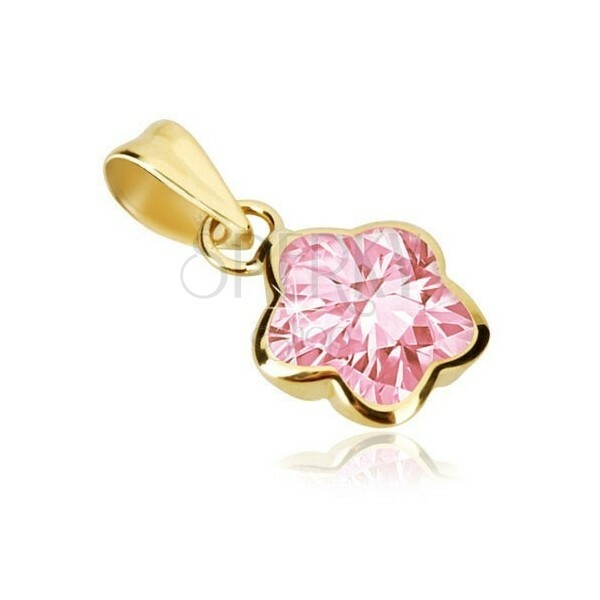 Yellow 9K gold pendant has motif of flower and it consists of decoratively shaped holder and cut coloured zircon. Thin holder has a shape of five rounded whole petals. There is glittery pink zircon of flower shape that is embedded into the holder. Zircon sticks out of the holder in the back part. Ring has oblong shape and it broadens upwards.